In honor of Breast Cancer Awareness Month, Jane Iredale introduces this limited edition hydration spray Jane Iredale Smell the Roses Hydration Spray. This spray was developed exclusively for Living Beyond Breast Cancer, which receives 100% of profits from sales. <–Love that! Recommended for any skin type, especially dry and sensitive skin. Calms and soothes skin while reducing redness. I received this press sample a few weeks ago and I’ve been using it ever since. The spray has a light, not overpowering rose fragrance. For me the spray is wonderful to use in the morning, it helps to wake me up. It’s so light when applied and it dried without leaving any sticky residue. In general I used it after washing me face without needing any additional moisturizer but if you have dry skin you may want to still use a moisturizer as this is lightly hydrating. I have oily skin so I found this spray quite balancing all by itself. Sometimes I sprayed it on throughout the day as a pick me up because the scent is uplifting, especially when you’re feeling exhausted. I can see myself traveling with this spray, especially when flying to feel more wake when I’m jetlagged. I absolutely love that Jane Iredale is cruelty free, it make me feel better that using a product that is not tested on animals. And the fact that this company uses natural and organic ingredients in also a huge plus. Below you can see recognize every ingredient in this spray which makes me feel safer about using it. 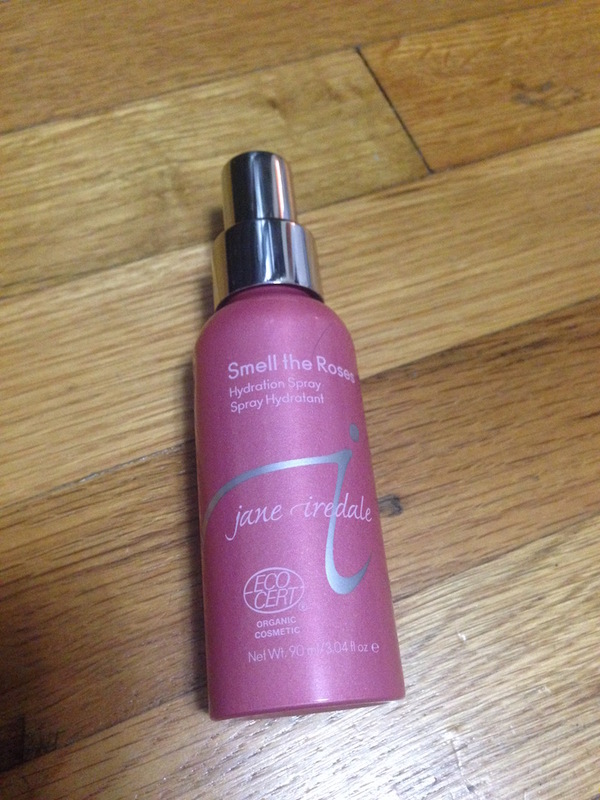 Have you tried Jane Iredale Smell the Roses Hydration Spray? As I prepped my kiddies to go to school, I also remind them to have good grooming habits. Yes, I raise my boys to never have ashy hands and to always use lip balm. Taking care of yourself isn’t just for women, men need beauty TLC too! So when I saw that the low temperature in NYC today was 30 degrees, I had to prepare my boys properly. So I reached into my lippy bin and fished out two plain lip balms for my boys to have. 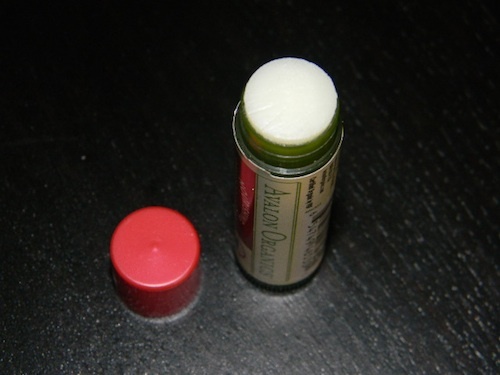 This got me thinking about lip balms and how amazingly awesome they are. Our commitment to Consciousness in Cosmetics creates a larger vision that encompasses us all. Our goal is to honor the body with consciousness. This vision is alive and continually expanding and we are all a part of it. Five distinct elements comprise Consciousness in Cosmetics: Purity and Safety, Sustainability, Products that Work, Sensuality and Personal Choice. We only use ingredients that we trust, knowing that they can be absorbed directly into the body through the skin. We relentlessly seek out and use ingredients that are purer, more natural or organic, creating products that are safer to use. 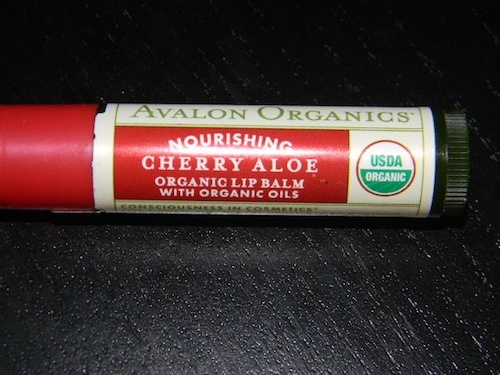 Have you tried Avalon Organics lip balm? 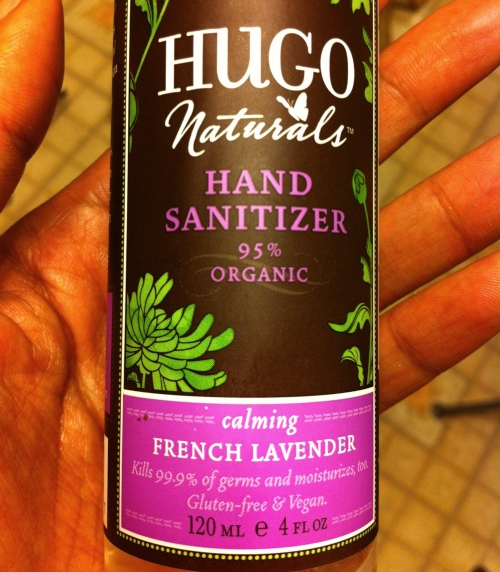 Lavender Love, Hugo Naturals Hand Sanitizer! If you’ve ever taken a New York City subway then you’ll certainly understand the urgent need to want to wash your hands. As much as I love New York, I’ll be the first to admit that our subways can be dirty, smelly and downright gross. I remember a time or two when I touched something on the pole that I didn’t even want to know what it was! So what’s a germaphobe to do? Well if you’re like me, you’ll want to carry some hand sanitizer in your purse so that your delicate digits remain germ free. 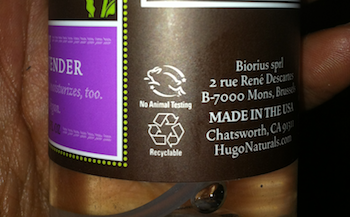 Well in my quest to find more organic and cruelty-free beauty products I came across Hugo Natural Hand Sanitizer. Hugo Naturals uses the best natural ingredients, natural colors, essential oils and botanical extracts to create luxurious all-natural personal care products. Their hand sanitizer is 95% organic, gluten-free and vegan. It’s made from certified organic lavender essential oil, organic alcohol and aloe vera. I do have to say that washing your hands is the BEST way to keep your hands germ free, however if you cannot get to a washroom, hand sanitizer is a great alternative; this product has been shown to kill 99.9% of harmful bacteria. This hand sanitizer doesn’t dry out your hands the way conventional sanitizers do, in fact it’s pretty moisturizing. After a few sprays my hands smelled of aromatic lavender which lightly fades away after a few minutes. The hand sanitizer doesn’t leave sticky residue and leave hands satiny soft. Do you use hand sanitizer or do you wait until you can reach a washroom? 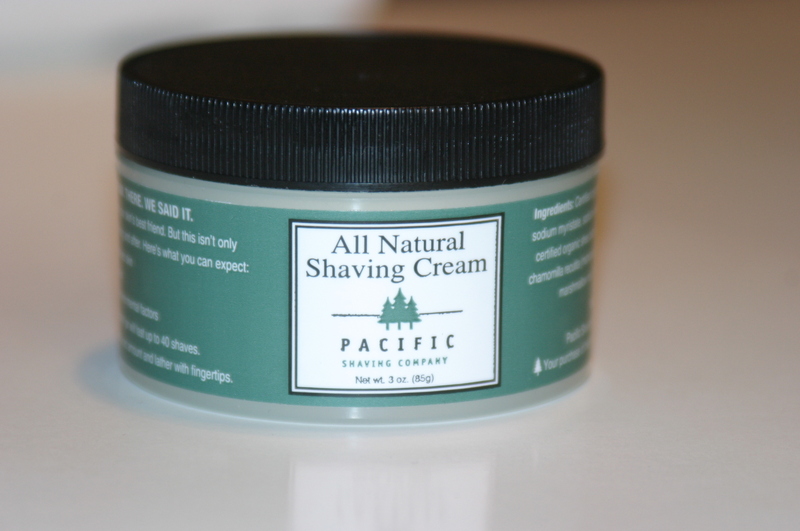 The Pacific Shaving Company created a small line of natural and eco-friendly infused with essential oils and certified organic ingredients. Their All Natural Shaving Cream is fast becoming one of my favorite products mainly for it’s ingredients. This all natural formula contains aloe, shea butter, and sweet almond oil to keep you skin hydrated and smooth. 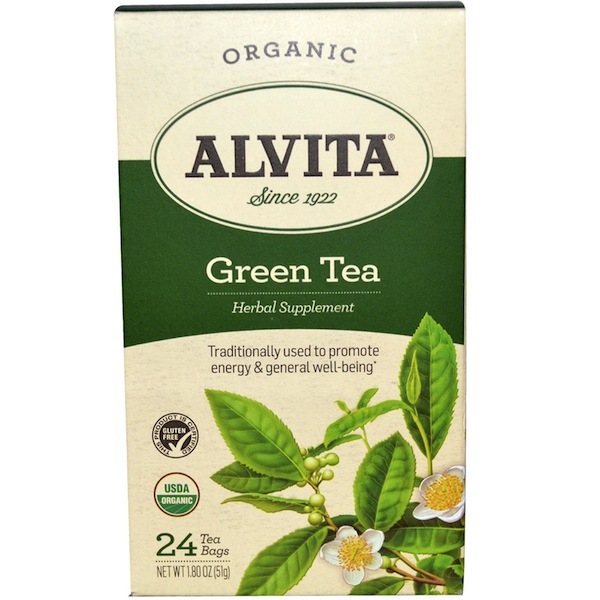 White and Green Tea extracts were added for their anti-oxidant properties to protect against free-radical damage. The company even added Lavender which helps to calm skin. 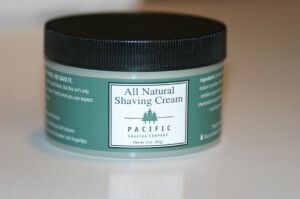 Pacific Shaving Company describes the formula as low-lather but I found that the formula was thick and lathered well. 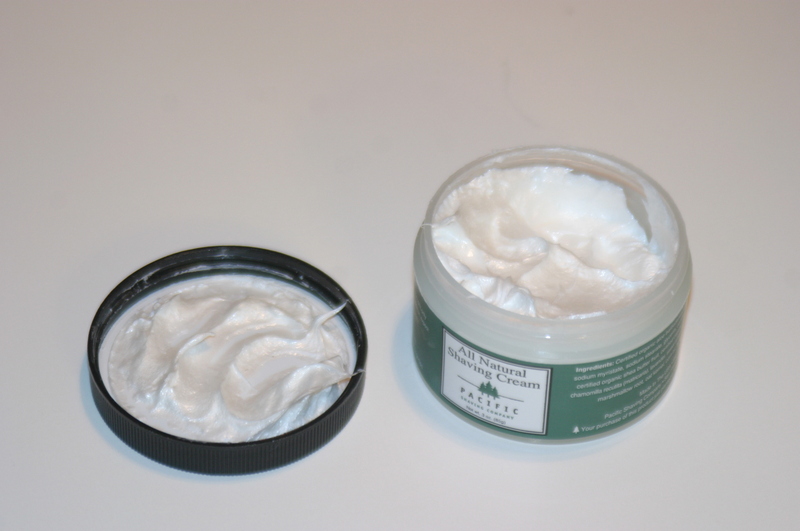 This shaving cream is a bit more dense than other brands so a little will go a long way. The 3-oz. jar may seem quite small at first but you will get 40 shaves (or more) out of it, it’s nice and compact. The scent is extremely light and very “clean” smelling, you won’t notice it after application. Overall the I would say that I loved the shaving cream. The texture, the scent and the all natural ingredients work harmoniously together. Shaving was smooth and nick free and most importantly my skin didn’t feel dry afterwards. This is my first experience with the Pacific Shaving Company and it was great, I can’t wait to try the rest of their line!